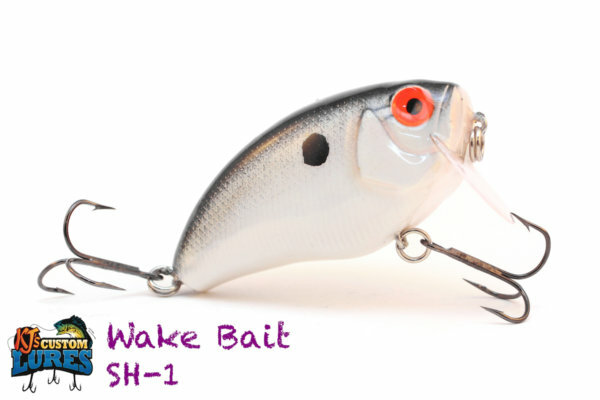 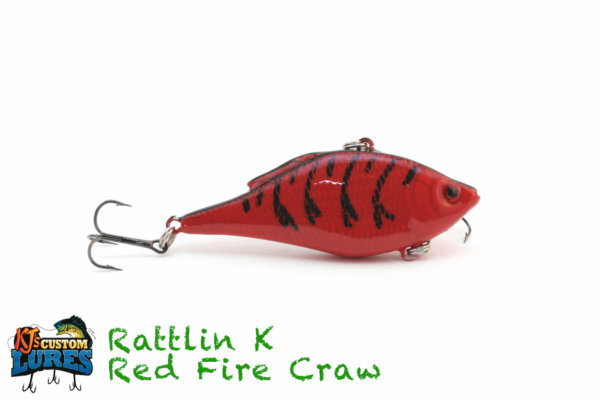 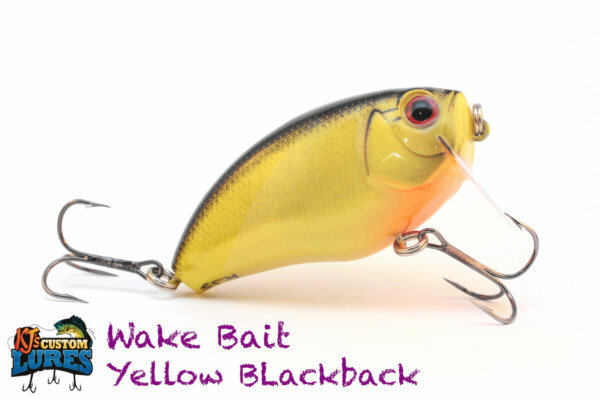 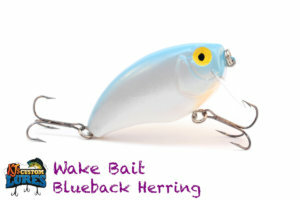 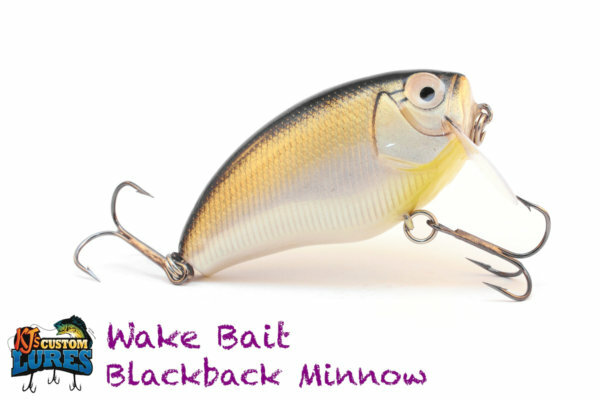 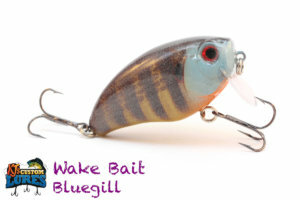 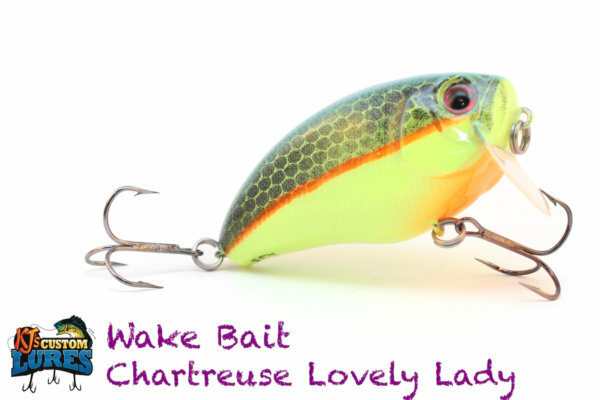 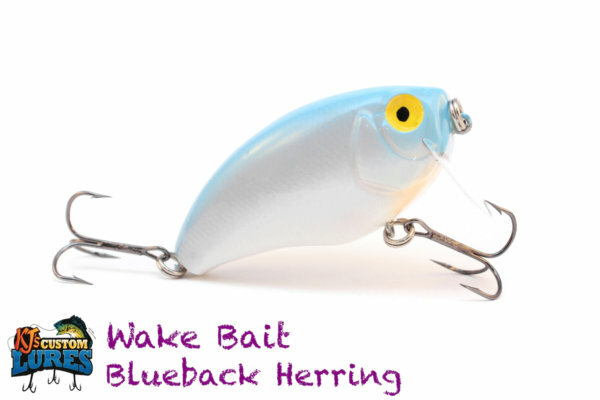 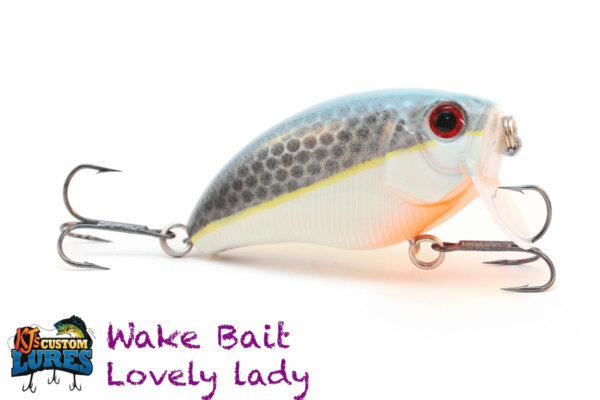 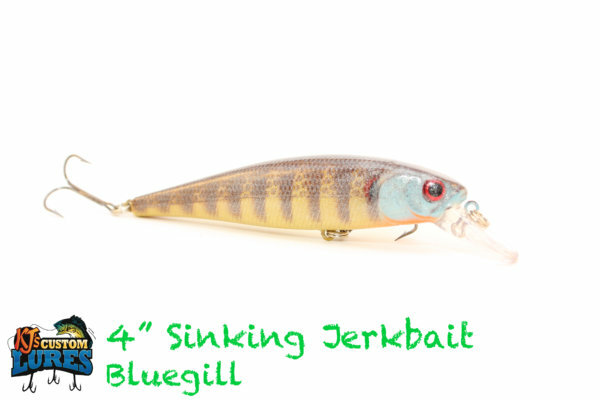 KJ’s Wakebait is ideal for a perch or shad imitation. 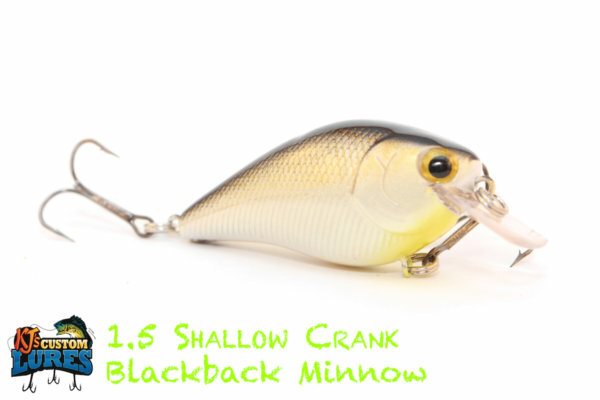 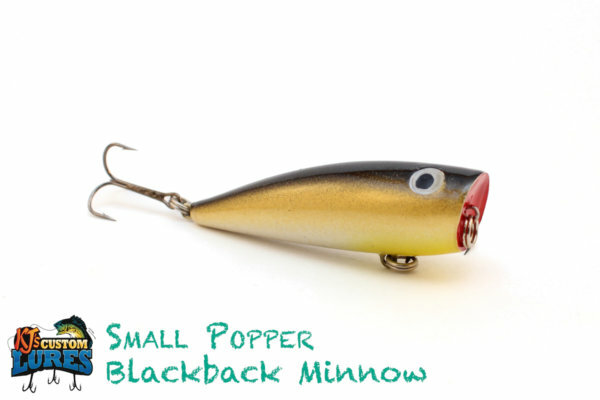 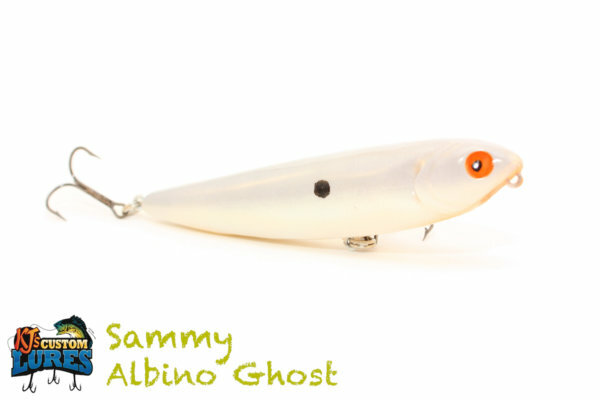 Working across the subsurface, the broad, short lip on the bait creates a wake that will attract and annoy fish for days. 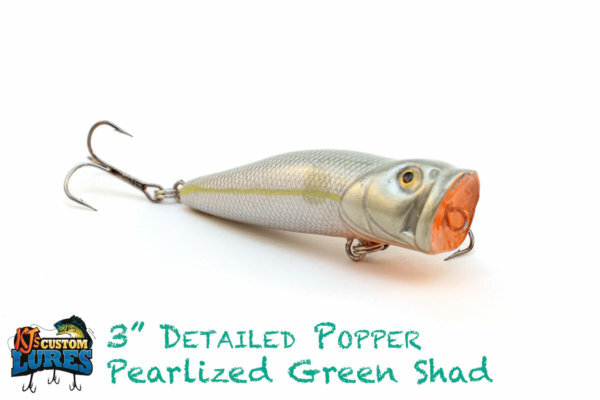 Paired up with #4 Mustad Triple Grip Treble Hooks. 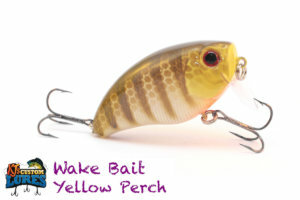 I absolutely love the Kjscustomlures WakeBaits!! When I find the fish are on a top water bite then my weapon of choice is definitely the Wakebait!!! 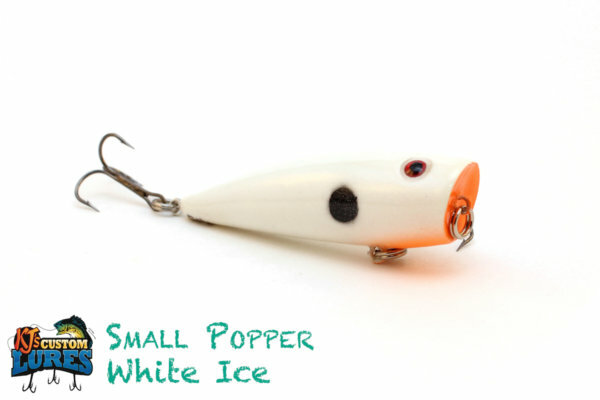 My go to for top water bites! 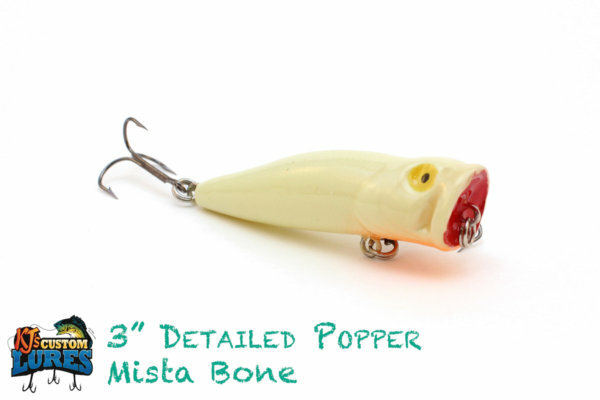 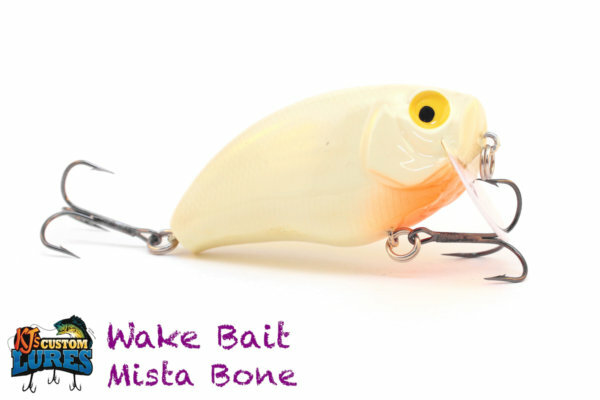 The Mista Bone will flat out catch fish here in Texas…Always have one tied on!! 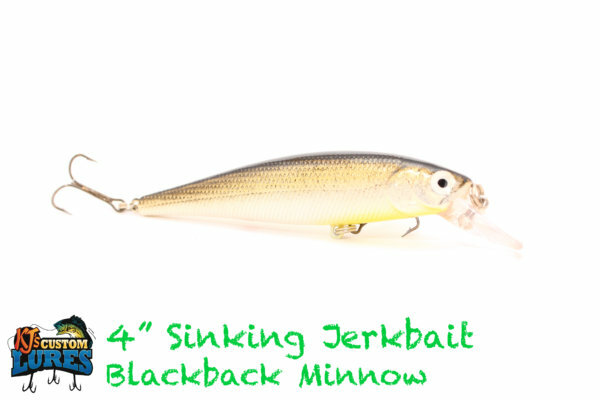 Work it just below the surface, in 6-8’ of water or less. Focus on ambush points around structure, such as grass lines, standing timber, riprap and similar structures. 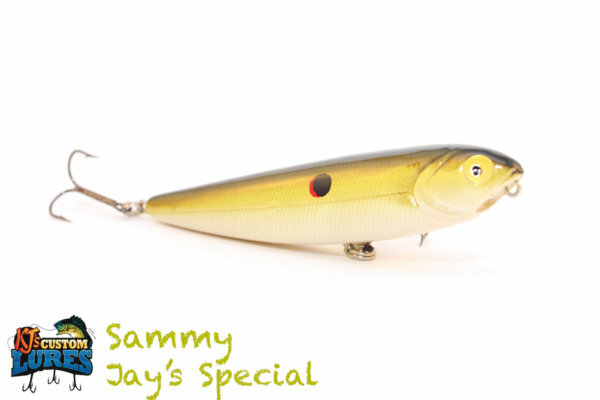 Mid-Spring, once the water reaches the 60’s, you can have a steadily, fast retrieve. It will work throughout the year until late fall. Use a stop and go method, or just a steady retrieve, and water will be pushed like a barge moving through a small river.